This paper presents some practical issues of a joint project between Gemplus and ONERA. 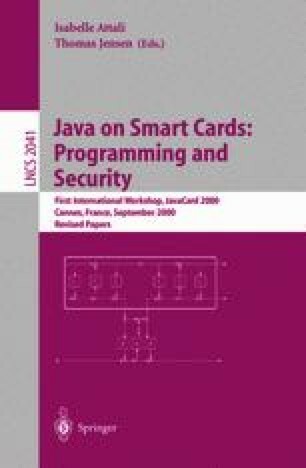 In this approach, a smart card issuer can verify that a new applet securely interacts with already loaded applets. A security policy has been defined that associates levels to applet attributes and methods and defines authorized flows between levels. We propose a technique based on model checking to verify that actual information flows between applets are authorized. In this paper, we focus on the development of the prototype of the analyzer and we present the first results.